Valentine’s day is coming soon, so I have been testing recipes out for my blog and for the february issue of Bmag. 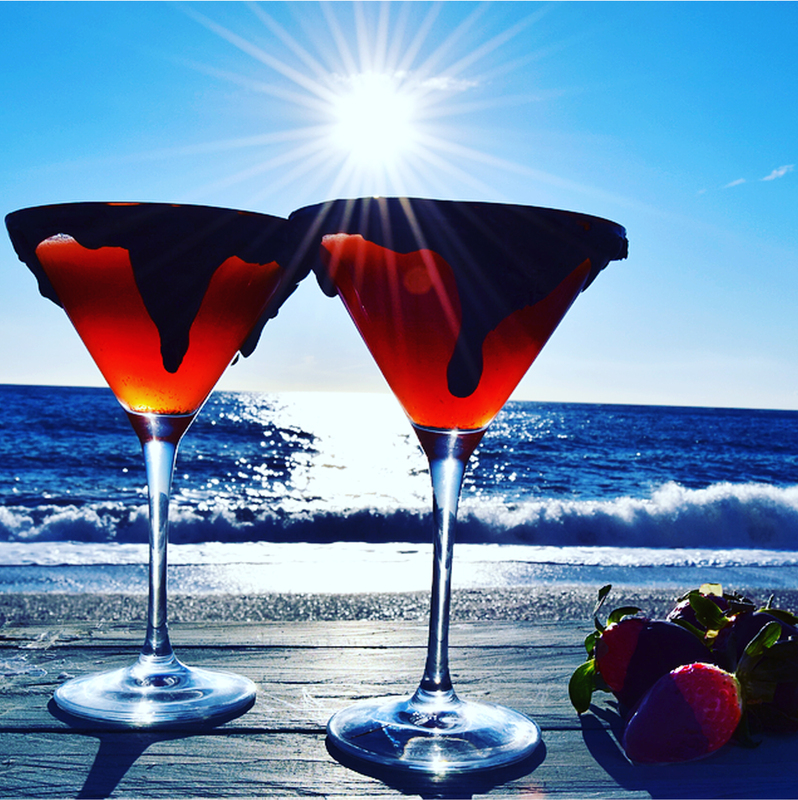 Daiquiri’s are my favourite cocktail as I love rum, using the strawberries makes it red and sweet, perfect for a romantic evening. This cocktail was inspired by a cocktail in a bar I use to visit in Hong Kong called ‘Feather Boa’ it is a little bar where inside is like a Parisian Boudoir. You would not even notice if you didn’t know it was there. Many a time I walked straight by it not finding the door! Once inside it was buzzing, a tiny bar filled with people sitting on the vintage furniture drinking Strawberry Daiquiri’s in chocolate dipped glasses!! In a cocktail shaker pop in the strawberries, pour in the sugar syrup (this can be easily made by mixing equal quantities of sugar and boiling water then stirred to dissolve the sugar. Let it cool). With the end of a rolling pin bash the strawberries and sugar syrup together to a pulp. 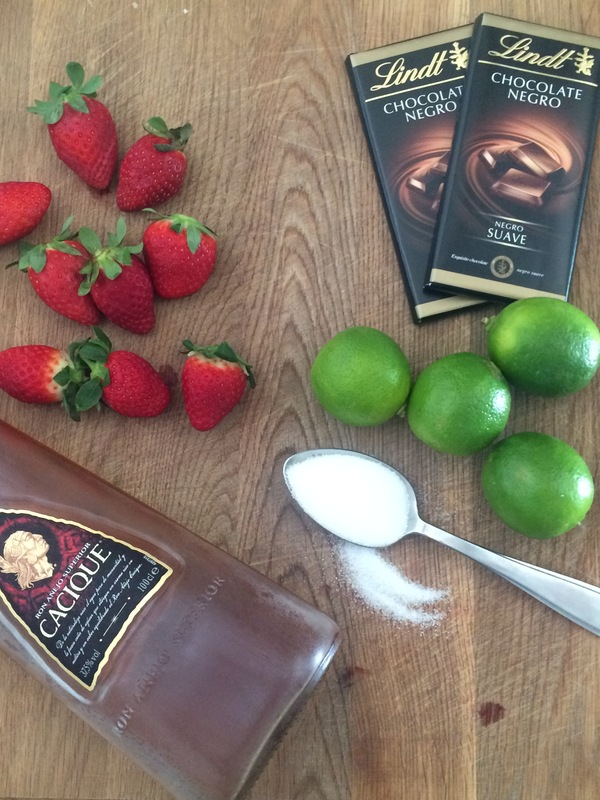 Add the rum, lime juice and ice cubes and pop the lid on the shaker and shake well. 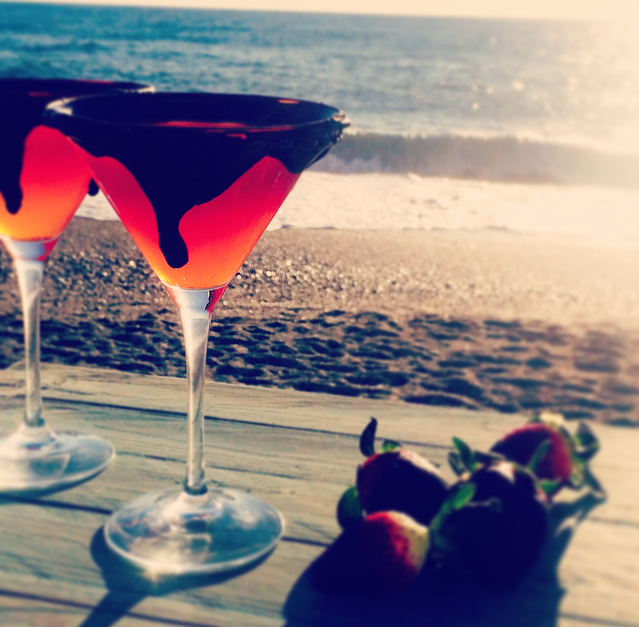 Carefully strain into your cocktail glasses, serve with chocolate dipped strawberries.